Image Size: 2.5 x 2.5 deg. 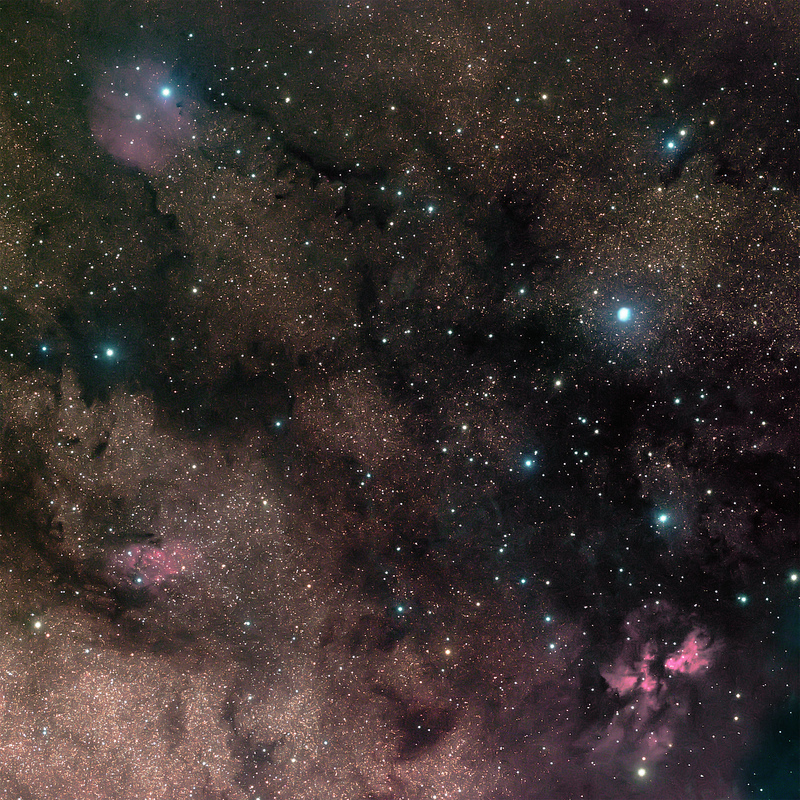 Sharpless 2-64 (W40) is an emission nebula in Serpens about 1000 light years distant and is shown near the bottom right corner of the above image. It is part of the Serpens Cloud Complex, and as the image suggests, it is a complex region containing many catalogued Lynd Dark Nebula (LDN), SH-2-64, and several unidentified emission nebula (bright region toward the upper left, and a fainter red region directly below about 2/3 toward the bottom).